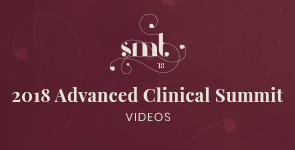 the 2018 Advanced Clinical Summit! The 2018 Summit was a big success! Watch the videos from the event and download the PDFs from the presenters. Be sure to take full advantage of the benefits of your enhanced directory listing by adding a photo to your listing. Also, by having a link to your website included in the listing, clients can click through directly to your site. 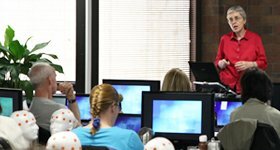 Exchange experiences with colleagues and get help from EEG Info experts. 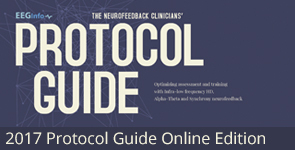 EEG Associates is a list server and online community for Neurofeedback practitioners. Join the conversation as we explore the possibilities of the exciting knowledge that exists in this emerging field. One complimentary group phone consult with Sue Othmer per month ($25 for each additional call). Approved for OMC and BCIA mentoring contact hours. Discounts on Clinical Summit & Practicum Weekends. 1 hr/month support call and free loaner equipment. Clickable link to your company's website. Free overnight NeuroAmp and/or laptop if your equipment breaks down (US only). Free shipping and other special promotions. Rotating banner ads on EEG Directory homepage. The primary focus of this membership level is marketing to increase awareness and interest in your practice. Effective marketing materials (including websites) act as your full-time advocate, providing potential clients with the best possible information about your practice. The marketing materials you distribute show current and prospective clients the professionalism and high standard of care that they will receive.